In 2014 Partners for Planning launched the P4P Planning Network as a response to this pressing question. Every resource is designed specifically for you – the relative or caregiver of a person with a disability. As a family formed and led organization we know that planning for a person living with a disability takes effort and intention. From relationship building to school transitions, community involvement, financial objectives and more – very little happens without planning. Families must envision, strategize and above all, take action. The Planning Network helps you navigate each step and life stage, empowering you with all the right tools and inspiration along the way. 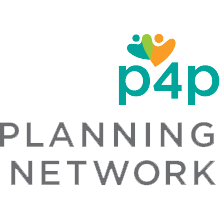 P4P connects a powerful network of professionals, organizations and agencies. With over 100 partner organizations referring families and caregivers to the Planning Network, it has become the go-to planning resource for families in Ontario.